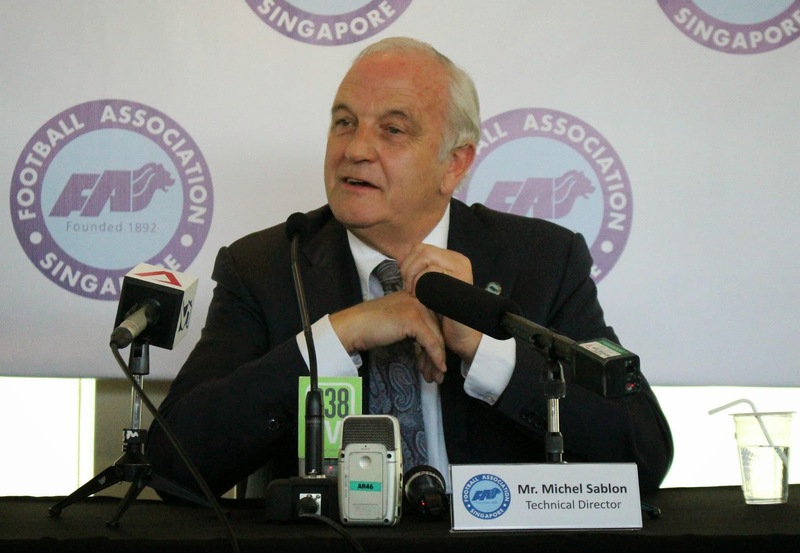 On the surface, it appeared that the Football Association of Singapore (FAS) had scored a major coup when they recruited Belgian Michel Sablon as their new Technical Director. After all, the former Belgium national assistant coach came with a huge reputation for single-handedly revitalized the game in his native land with his blueprint that elevated them back to be among the top footballing nations that now boasted the likes of Vincent Kompany, Eden Hazard, etc. after the vacuum left behind since the days of Enzo Scifo. DON"T PIN ALL HOPES TO A "BROCHURE"
Perhaps, getting Sablon based on his track record is one thing, another reason the folks at Jalan Besar are hoping is to tap on his experience like how he tackled the backwater situation in Belgian football after Euro 2000. However, it would be naive in one opinion to replicate verbatim the "Belgian model" in Singapore, given the differences, as suggested by some in a recent media report. Making things trickier being Sablon is on a two-year contract, which is rather a short timeframe to decipher the problems facing local football before coming up with an extensive plan for execution unless the magic of his "brochure" works its magic here like it did in Belgium. Furthermore, even if the 67-year-old does come up with a blueprint to set things right at the end of his tenure, his presence must be there to oversee the implementation at its infancy, which must a reason why someone suggested a local assistant to be there to assist and help him to familiarize at the beginning before gradually take over his role. For that, we do hope Sablon has a rough grasp of the situation here before he signed on the dotted line when he sang praises of the existing system in place. “FAS’ youth development structure and programmes have been positively assessed and endorsed by senior technical personnel including the then-FIFA Technical Director Jean-Michel Bénézet and Austrian Football Association Technical Director Willi Ruttensteiner." said the veteran coach in the press release announcing his appointment days ago. Whether the present system works, the results till this day is for all to witness, but it would be wrong to see Sablon to "fine-tune" the stuff left behind by his predecessor Slobodan Pavković when he is on five-figure monthly wages to turn things around. Welcome to Singapore, Mr Sablon.